Goodness! It has been a couple of months since I updated on Archer (I blame a baby who hates naps). Here's a quick update on how he's growing. 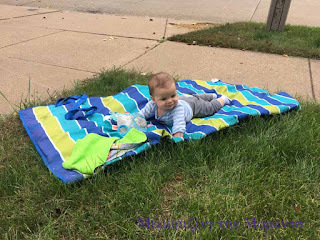 I had had big hopes for the crawling track, however, with him spitting up vast quantities, he didn't use it nearly as much as I had hoped. 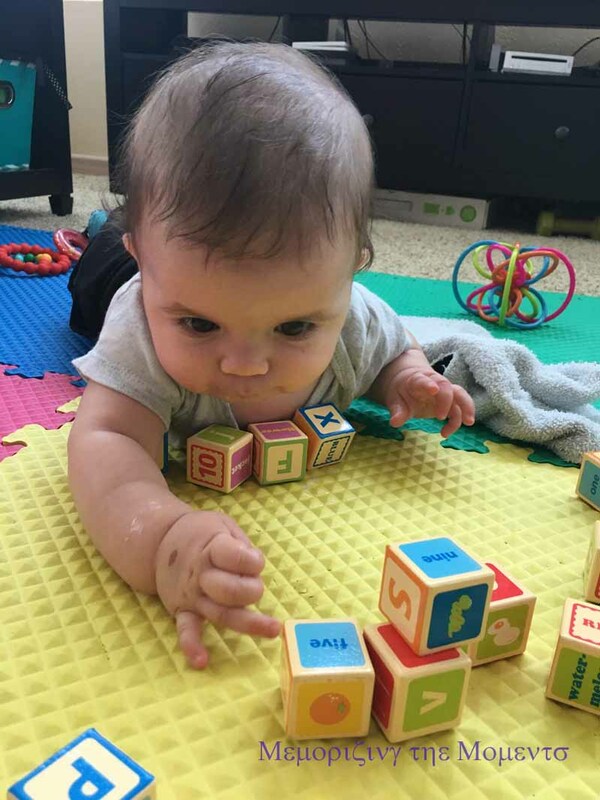 Tummy time was hard for a while. Now, he still spits up like crazy, but he's better at holding himself out of it. We've switching to using these foam mats (similar to these). 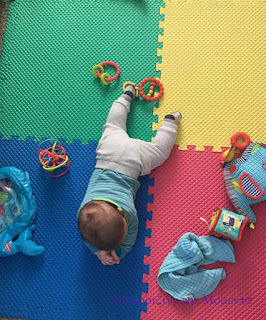 They give him a safe place to play (especially when he first started rolling over and landing a bit hard) and save our carpet! They're so much easier to wipe down. The set came with eight interlocking squares. We actually use them in two sets of four, to provide a place to play in two different rooms. Now, however, he's learned to push himself backwards. He ends up far away from his toys and sometimes right off the mat. 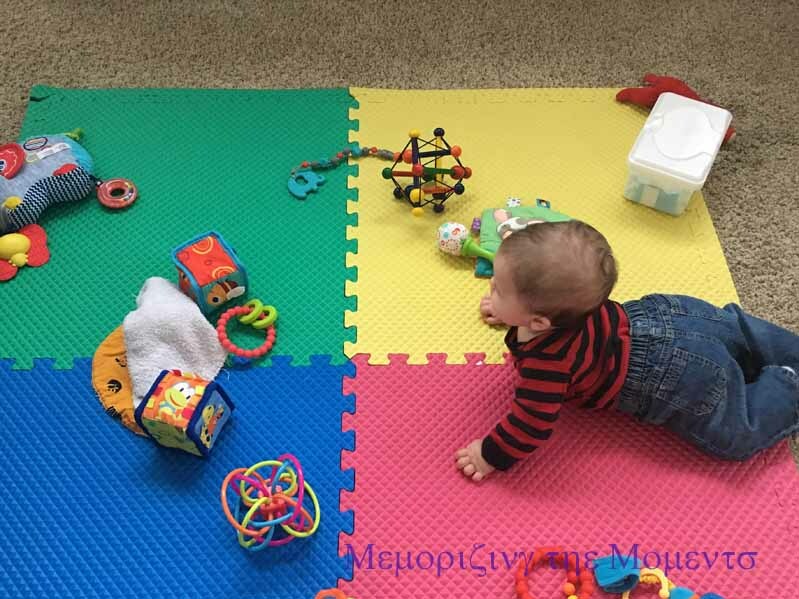 I've learned to put toys all over the mat, so wherever he wanders, he has something to play with (chew on). 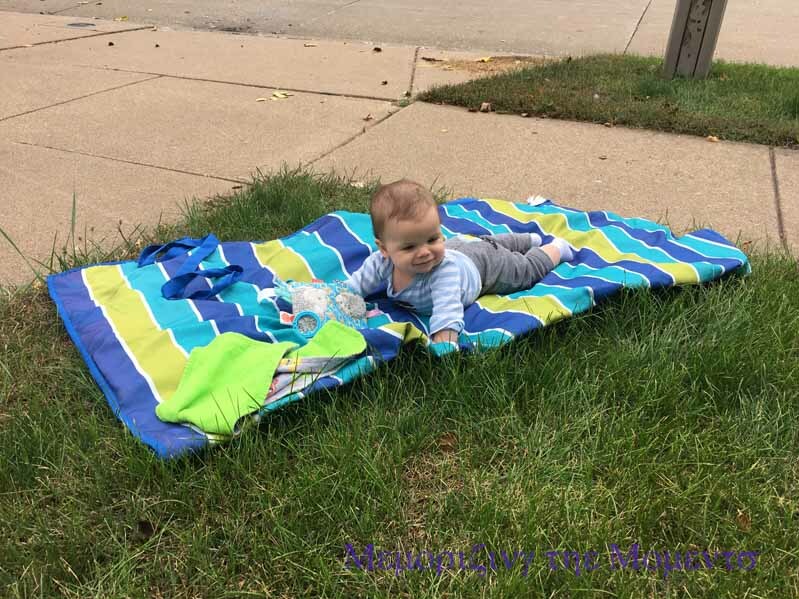 He also loves being outside, so I've been able to get a few outdoor chores done while he hangs out on a picnic blanket. 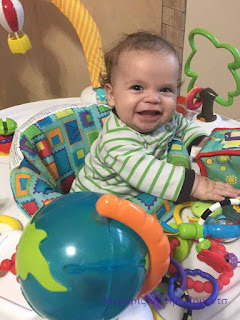 While I like to avoid "baby holders," I did break down and get an exersaucer second hand. It actually has some "blank" areas where I can put whatever toys he's into at the moment. I also do not have batteries in it. He loves being able to stand. This is also how he watches his baby DVDs, since he no longer has any tolerance for the bouncer. The doctor gave us the ok to add baby cereal and puree. 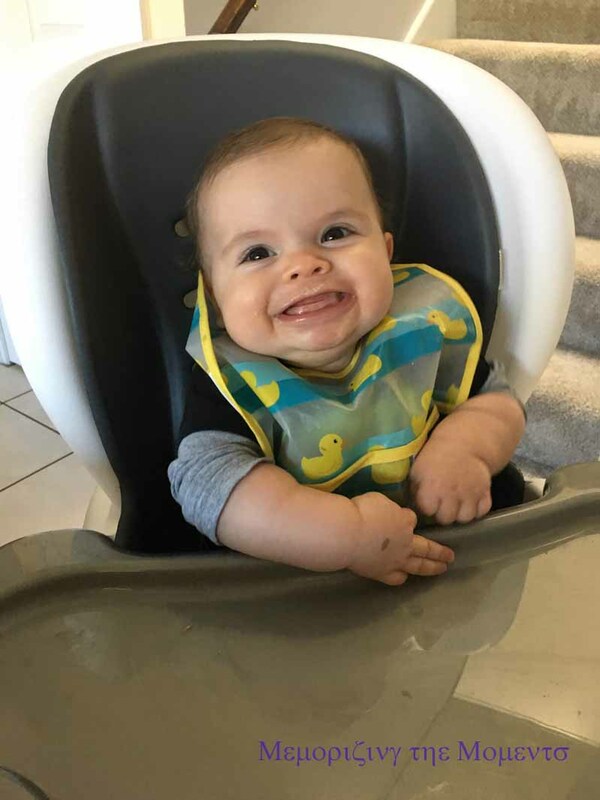 Archer LOVES eating! So far, he hasn't met a food he hasn't liked, although I am sure that day will come. He has also taken an interest in "helping" us hold the spoon to feed him. Poor kiddo still really eyes table food. Daddy ate a cookie the other day and Archer's bottom lip stuck out and quivered with every bite. While he hates his car seat, Archer really enjoys being worn. I think he likes being able to see more. He definitely likes the constant motion. Usually, it is the only way I can make it through a store without him screaming. 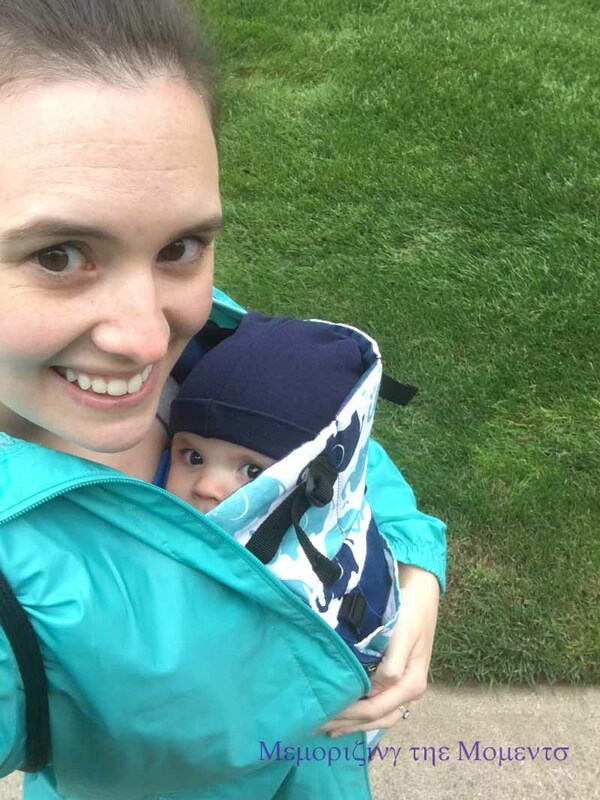 I don't know how I survived Xander's childhood without a good carrier. Archer has just started sitting up. He can't get there by himself, and still falls over if he gets overly excited or launches himself at a toy. 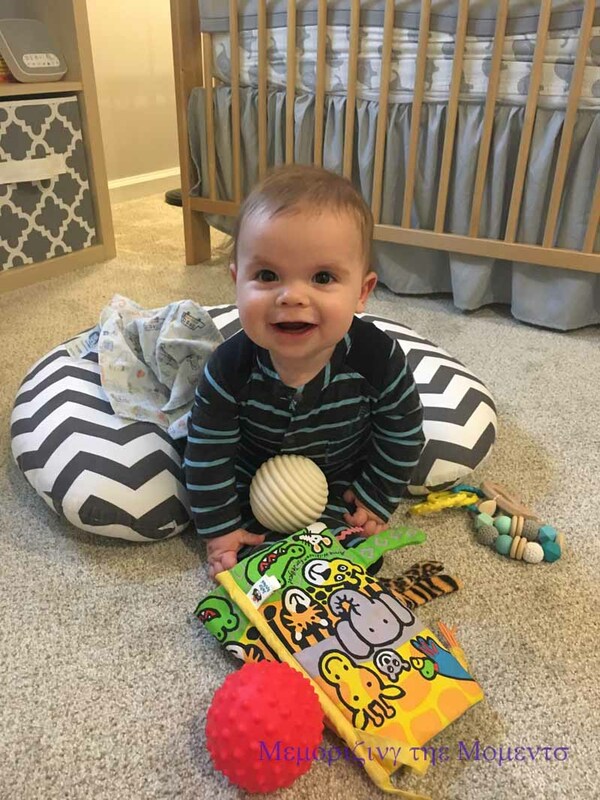 For now, I try to keep the Boppy behind him, just in case. 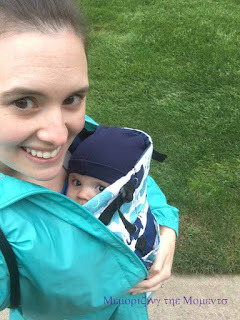 I'm hoping that in a few more weeks he will be steady enough for shopping carts, which should make outings much more enjoyable for him.